Introduce your youngest learners to a safe and wonderful natural world. 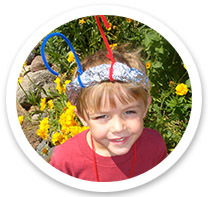 Help your child discover the joy, excitement, and mystery of the world we live in. Through collaboration, the Iowa Conservation Education Coalition (ICEC) and partners have developed a wide array of activities that offer experiences such as discovery-based learning through play, sensory exploration, large and fine motor activity, creative expression, making friends, and developing social skills. All of our activities are developmentally appropriate and correlated to the Iowa Early Learning Standards. Whether you are a parent, preschool teacher, or child care provider, everyone involved with KinderNature hopes you are inspired to take learning outdoors! 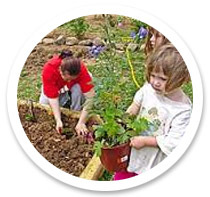 KinderNature is designed to help educators and caregivers engage young children in nature-based outdoor inquiry. Find the activity layout here. 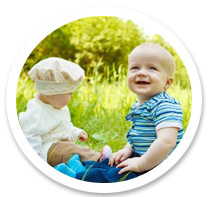 KinderNature activities are written for early childhood educators of children ages 0-5. Each activity directly correlates to the Iowa Early Learning Standards 2012. Find crosswalks to the Iowa Core, Head Start, Creative Curriculum and others here. KinderNature activities follow developmentally appropriate practices, allowing children to learn at levels that are individually, socially and culturally appropriate. Find more information about ages and stages and links to other resources here.